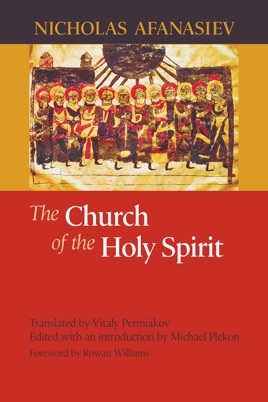 The Church of the Holy Spirit, written by Russian priest and scholar Nicholas Afanasiev (1893–1966), is one of the most important works of twentieth-century Orthodox theology. Afanasiev was a member of the “Paris School” of émigré intellectuals who gathered in Paris after the Russian revolution, where he became a member of the faculty of St. Sergius Orthodox Seminary. The Church of the Holy Spirit, which offers a rediscovery of the eucharistic and communal nature of the church in the first several centuries, was written over a number of years beginning in the 1940s and continuously revised until its posthumous publication in French in 1971. Vitaly Permiakov's lucid translation and Michael Plekon's careful editing and substantive introduction make this important work available for the first time to an English-speaking audience.